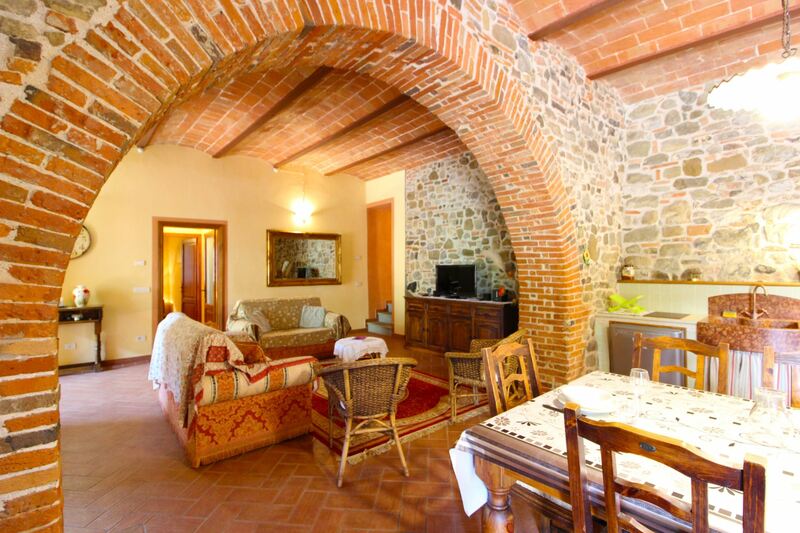 Ground floor apartment for 6 persons with garden and swimming pool. 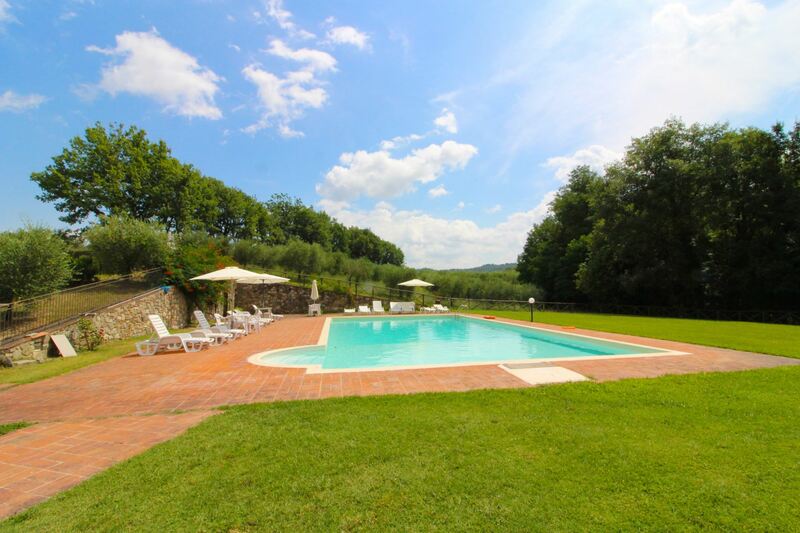 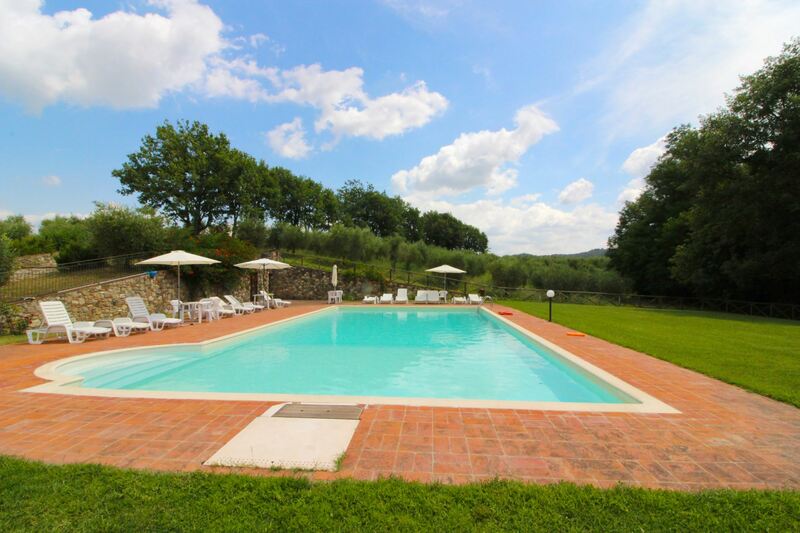 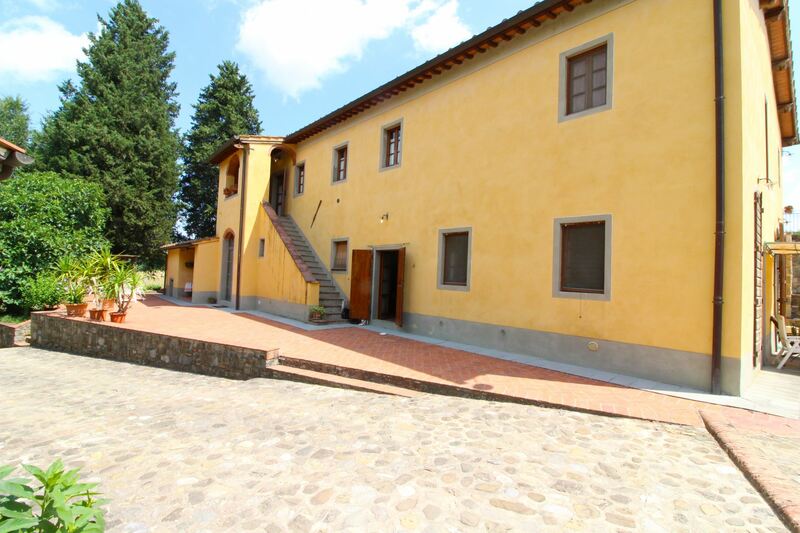 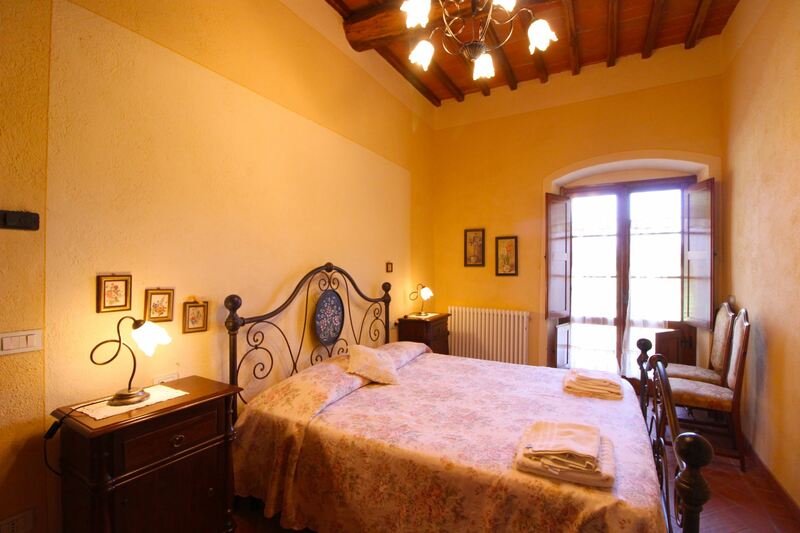 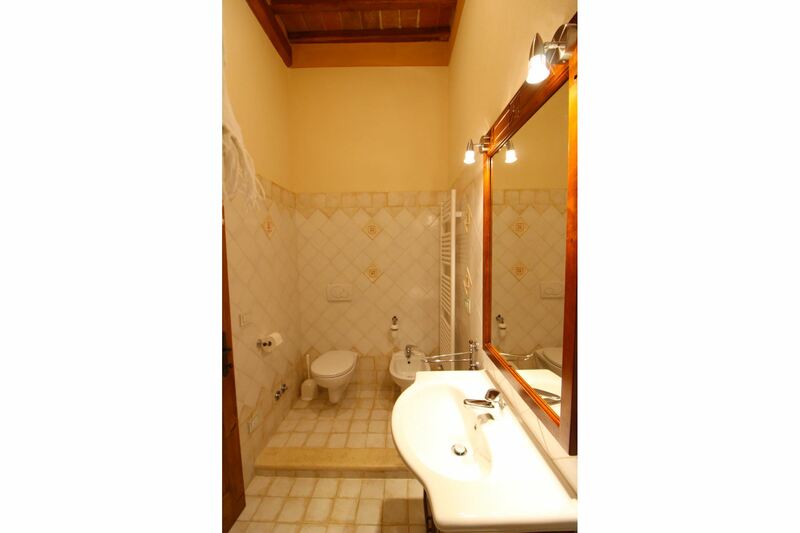 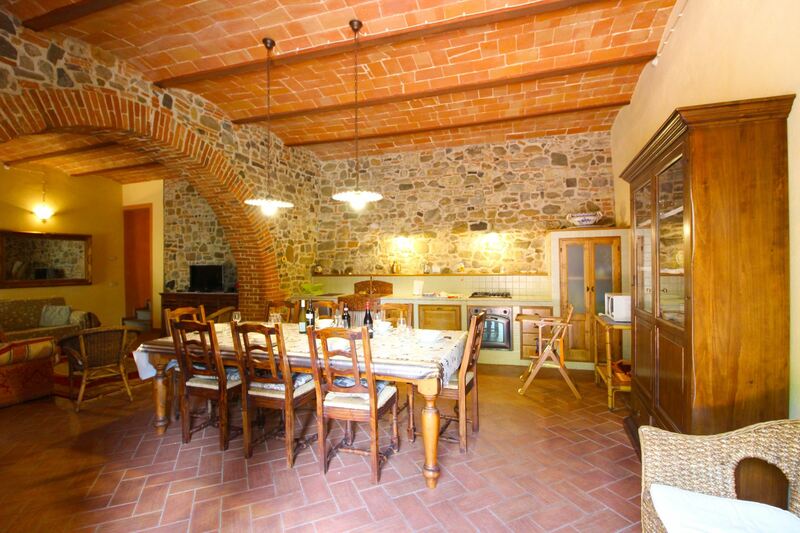 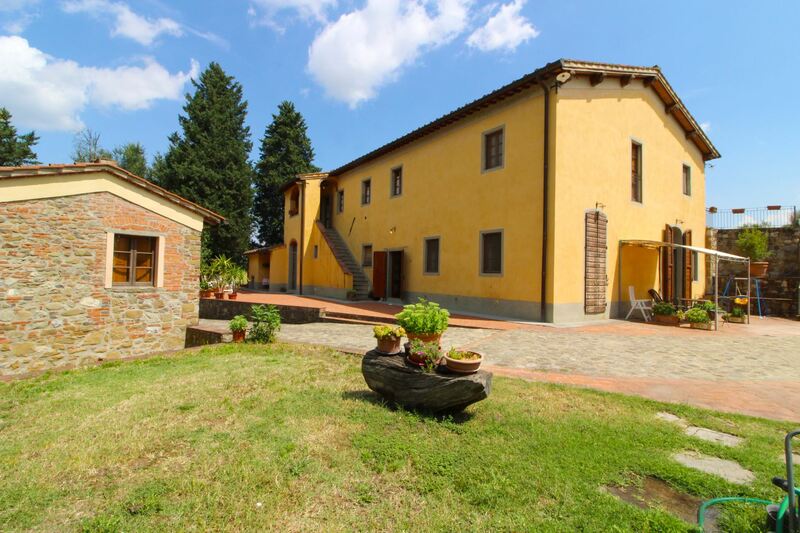 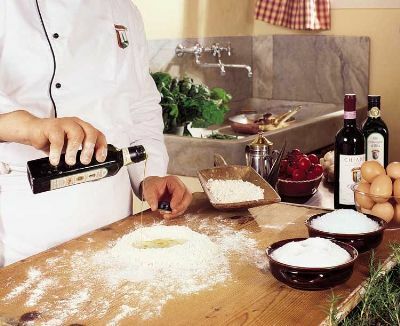 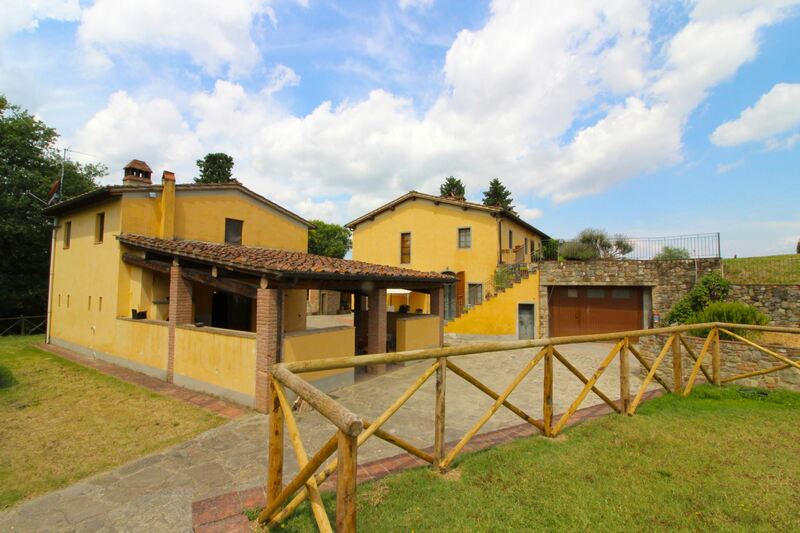 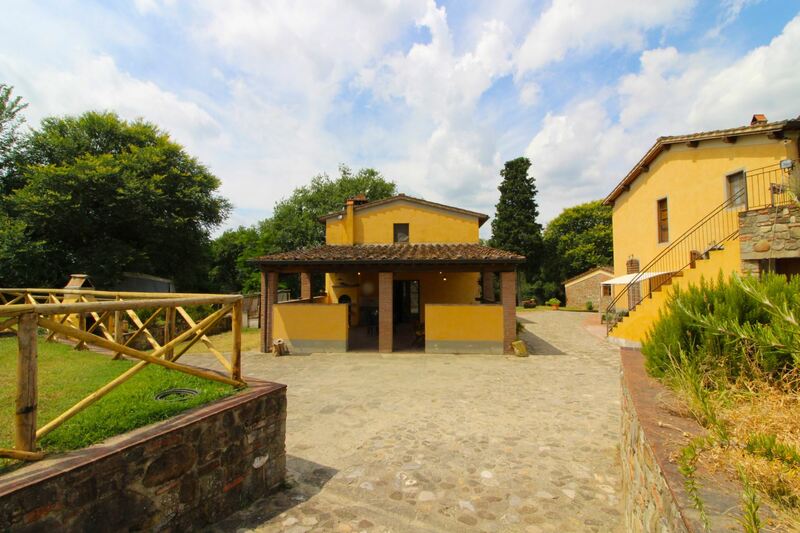 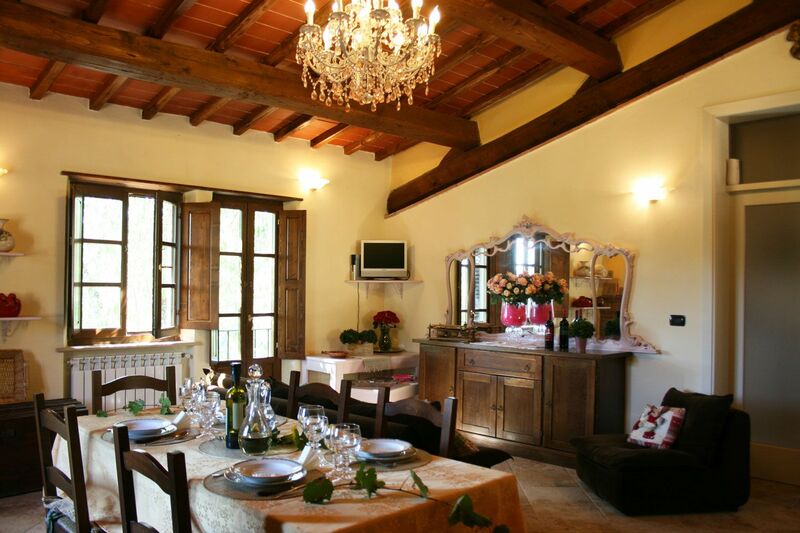 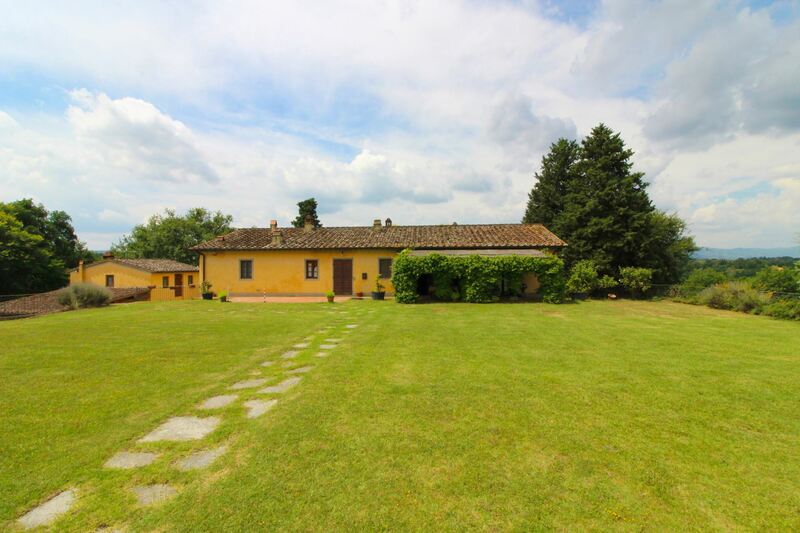 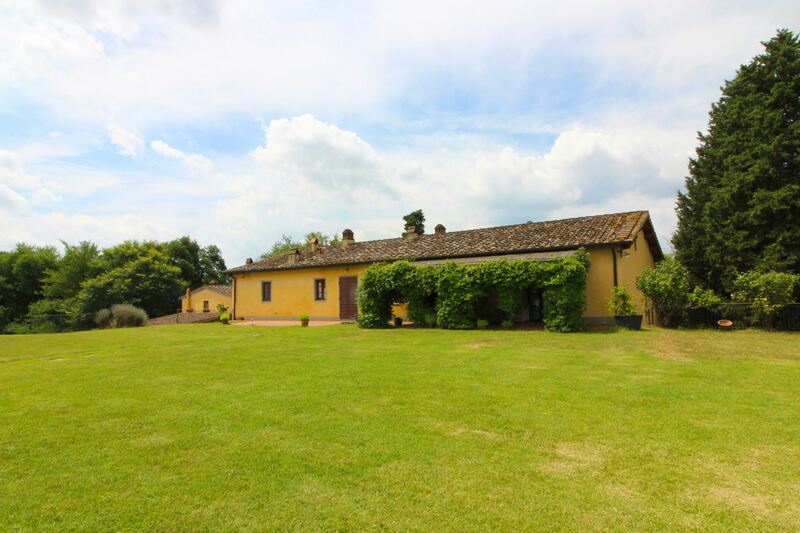 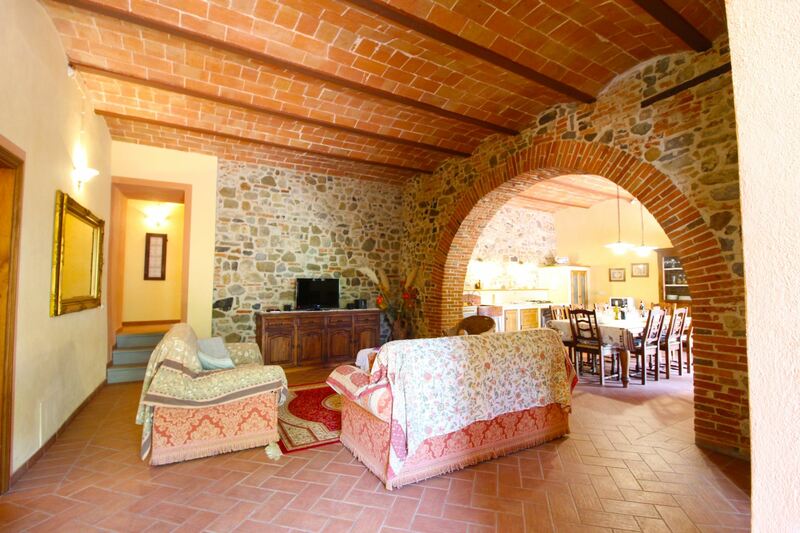 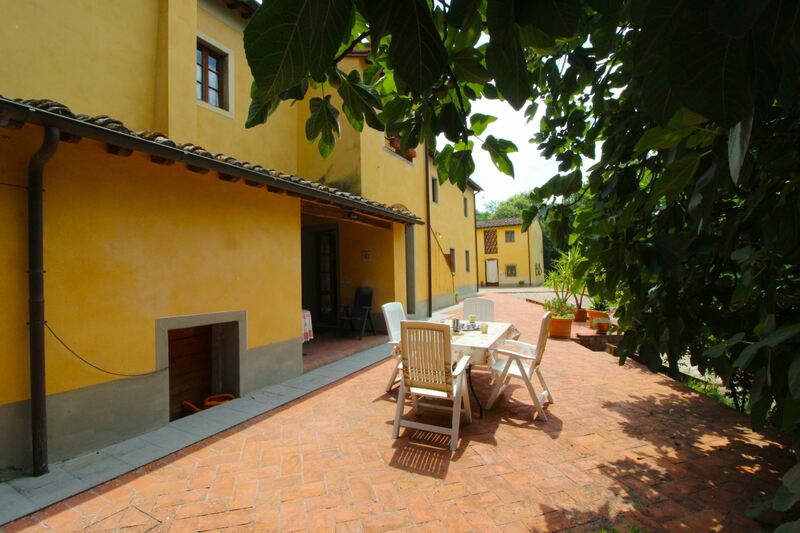 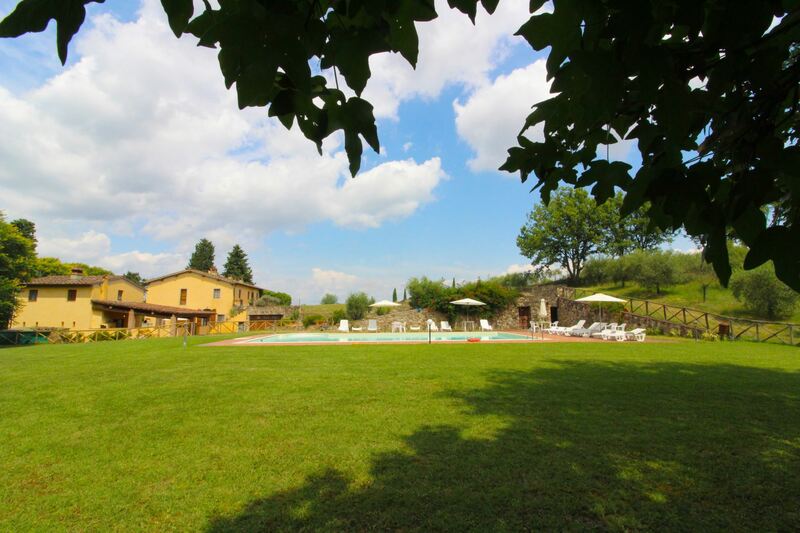 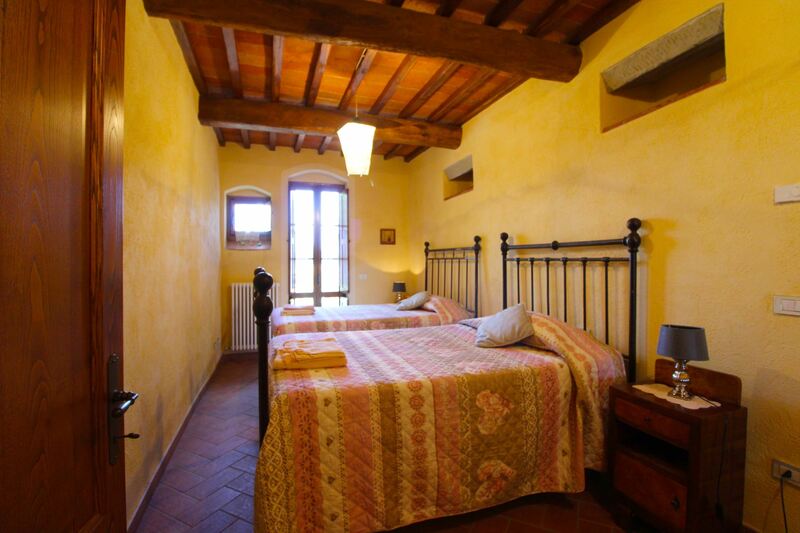 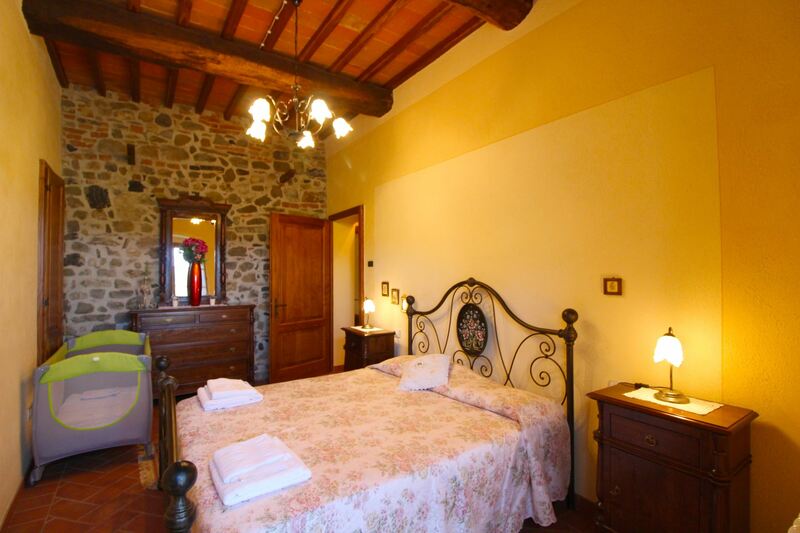 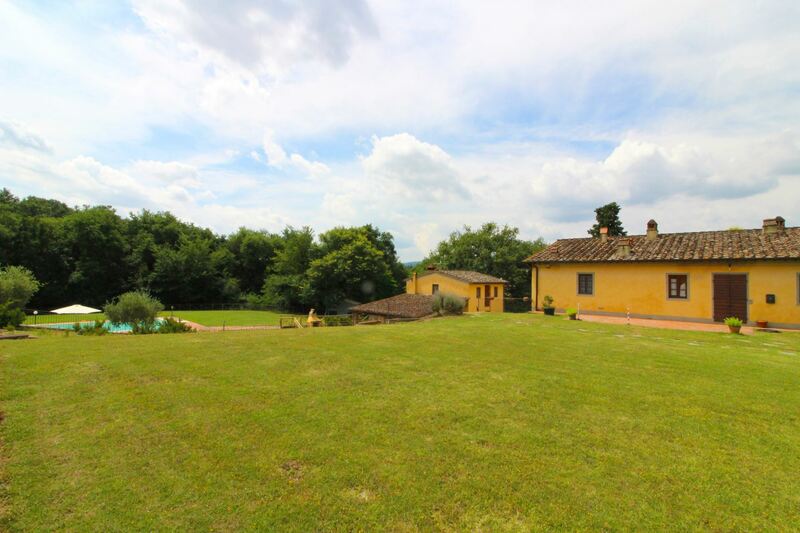 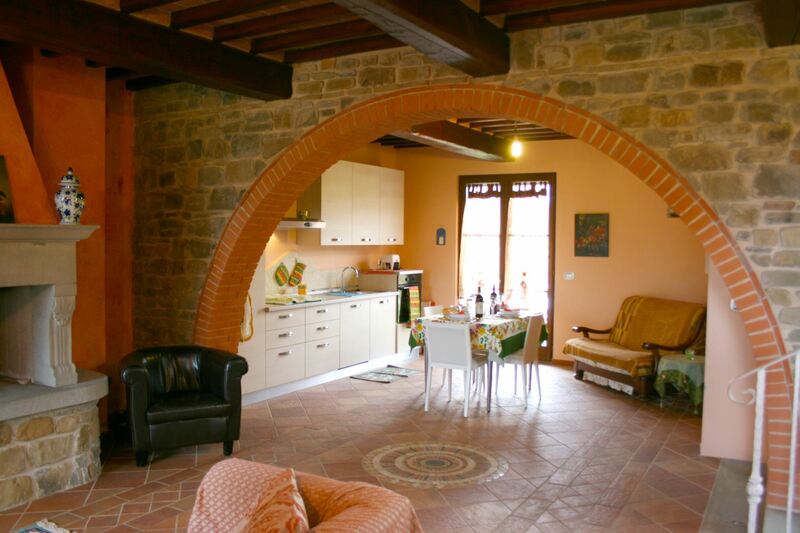 Located in the hills between Arezzo and Florence, Wi-Fi, table tennis, microwave, satellite TV. 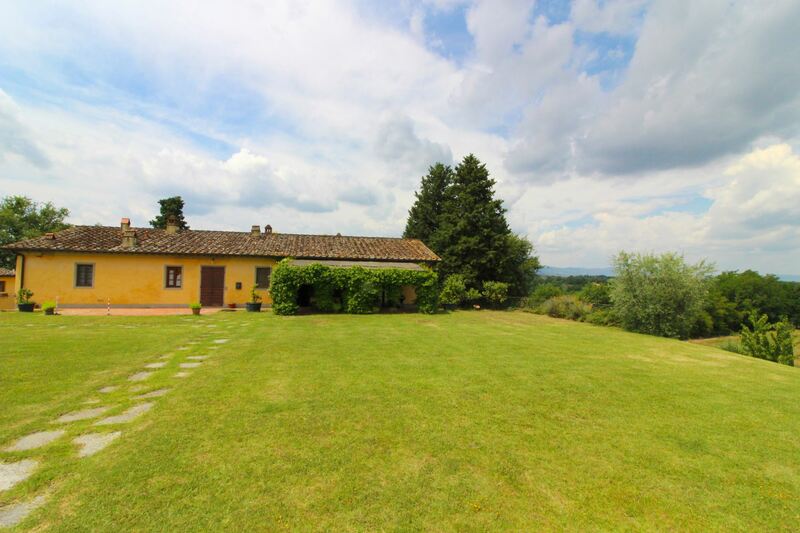 The village of Bucine is 1.5 km away. 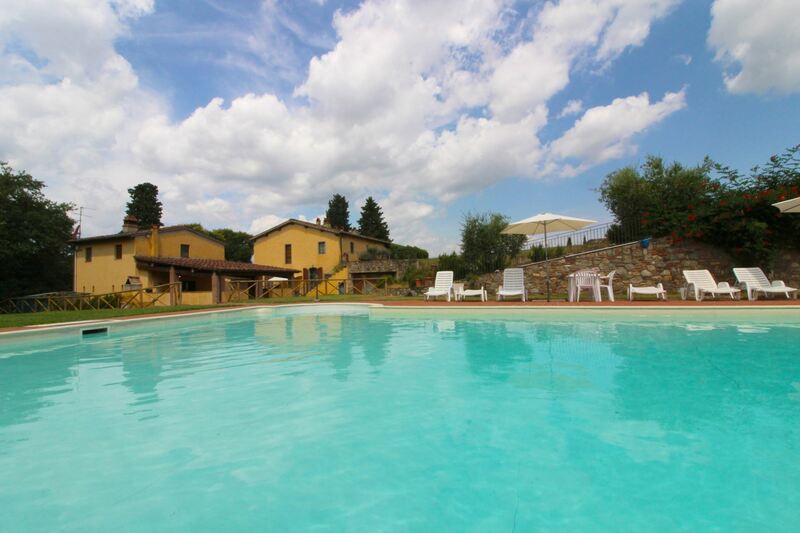 The village of Bucine, the Valdambra and the Chianti hills. 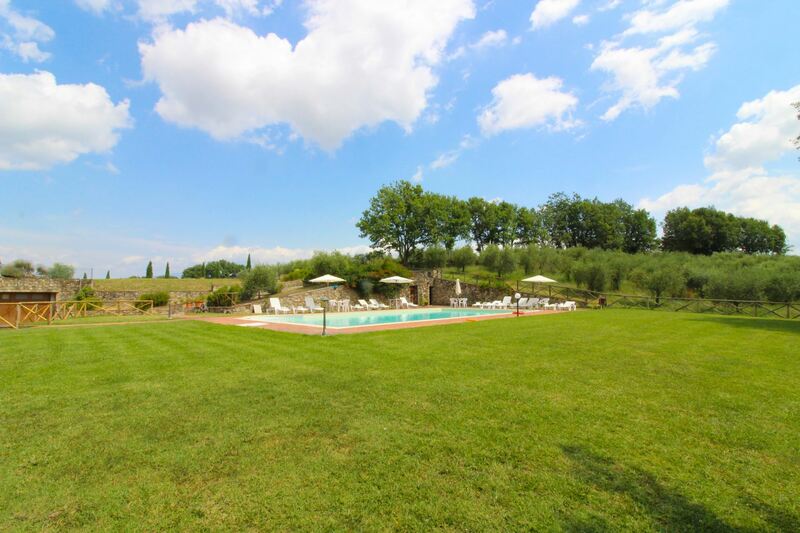 Podere Le Fornaci is situated just outside the village of Bucine, located along the stream Ambra and where the Chianti hills meet the upper valley of the river Arno. 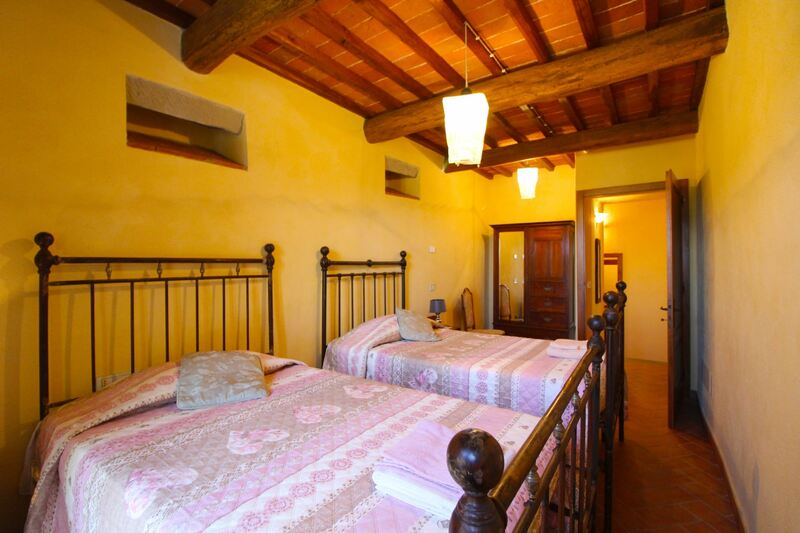 Due to its strategic position Bucine has been an important area of transit since the Roman period, as testified by the ancient bridge of Pogi. 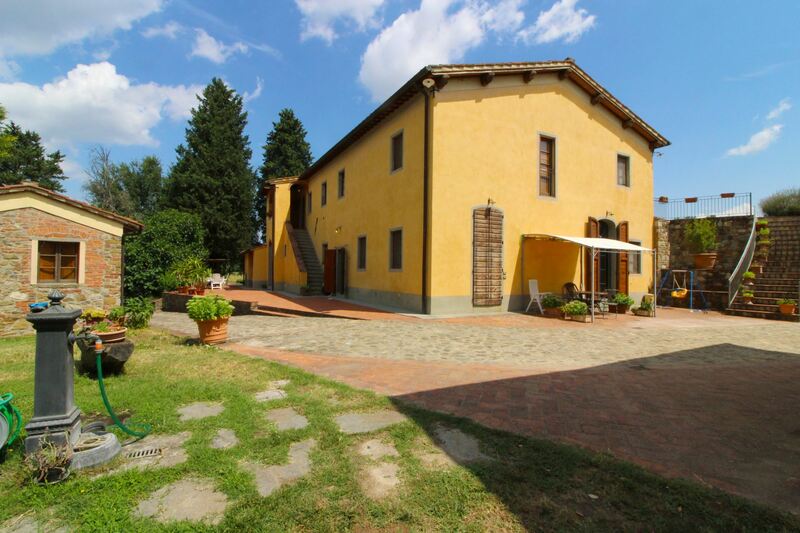 During the Middle Age it was long contended by local noble families and large cities, the village was first under the dominion of the Earls Guidi di Modigliana, of the Ubertini di Chitignano, of the Tarlati and finally under Arezzo and Firenze. 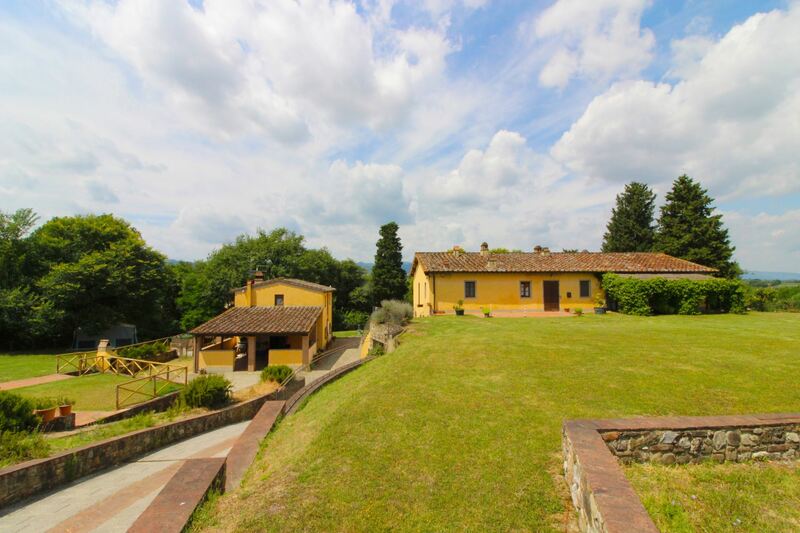 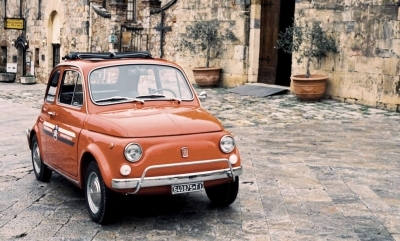 Bucine and the Valdambra are still today, thanks to the proximity to the main ways of communication, a strategic area if you wish to taste the famous Chianti wine or visit the main art cities of Tuscany or the peculiar villages of the land of Siena. 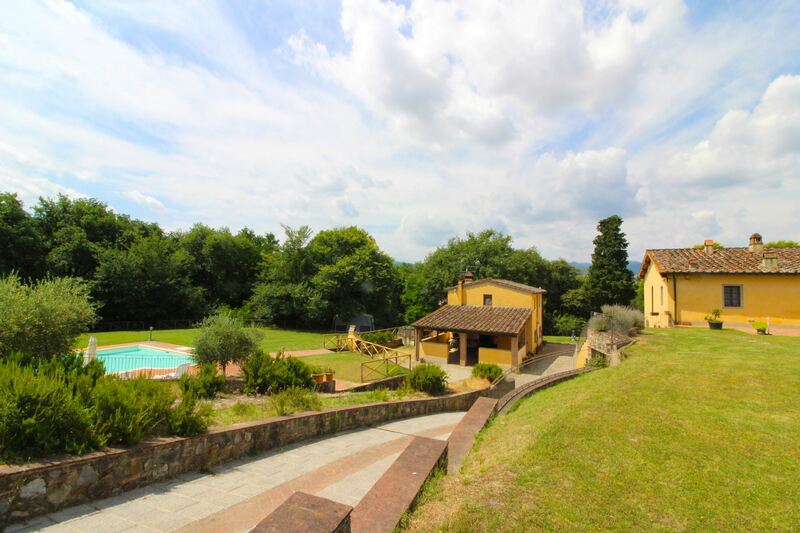 Manor house divided into apartments, pool and panoramic garden. 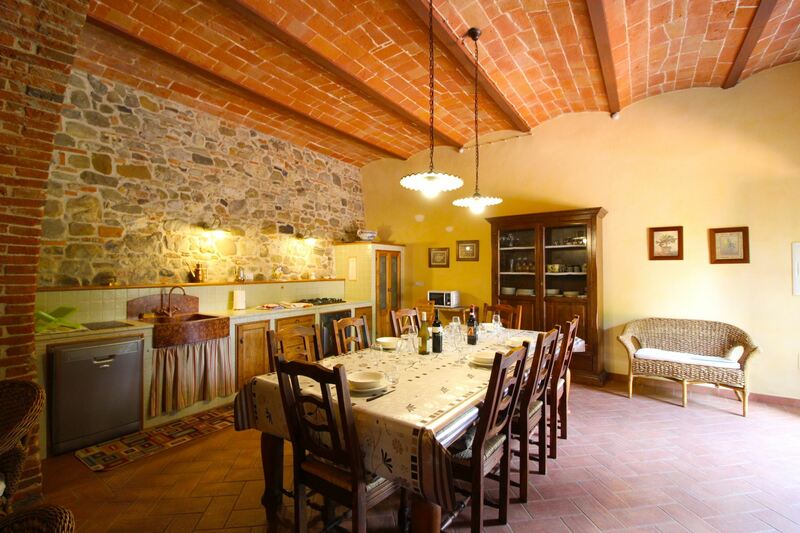 Podere Le Fornaci, reachable through a non-asphalted road about 300 meters long, is composed by the main villa, divided into three apartments, two of which at guests disposal and a third one inhabited by the owner, and by an adjoining small house where we find a fourth apartment. 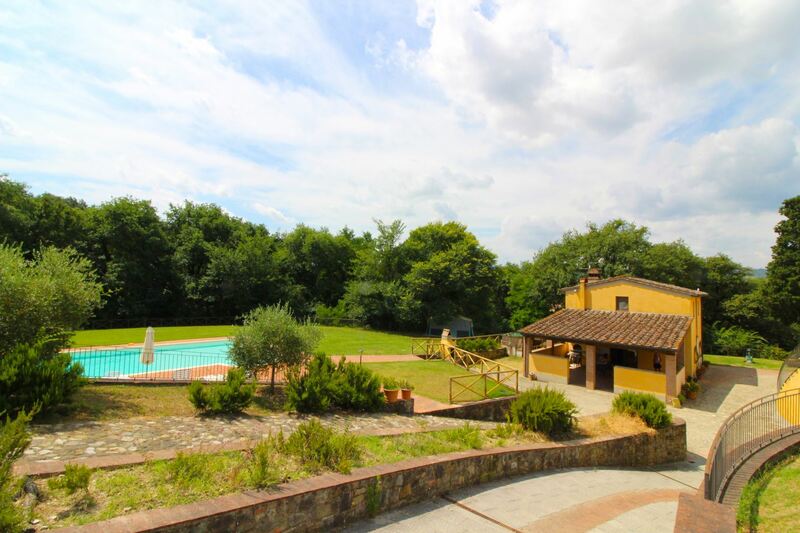 The property, well furnished and equipped, is surrounded by a large panoramic garden where we find a lovely barbecue and a beautiful swimming pool, to be shared with the owners, (size mt. 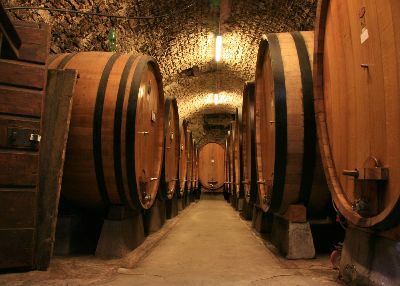 7,5x15, depth mt. 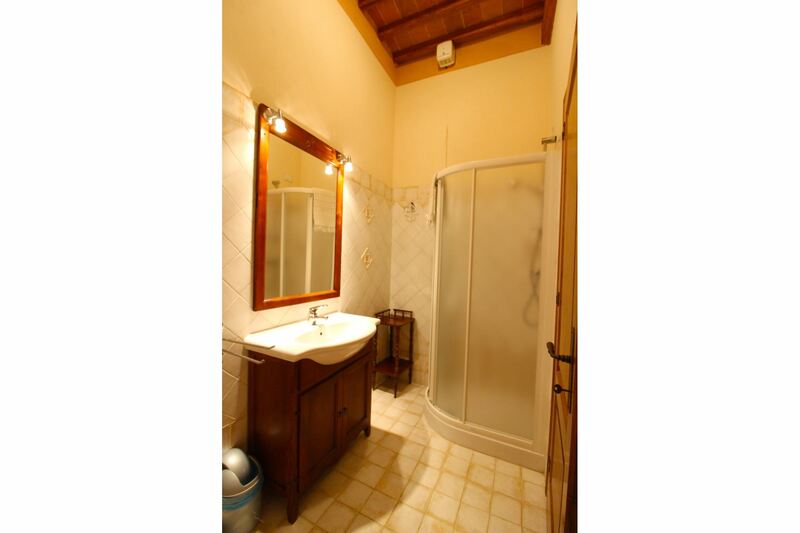 1,25-2,20) with changing room and bathroom with shower. 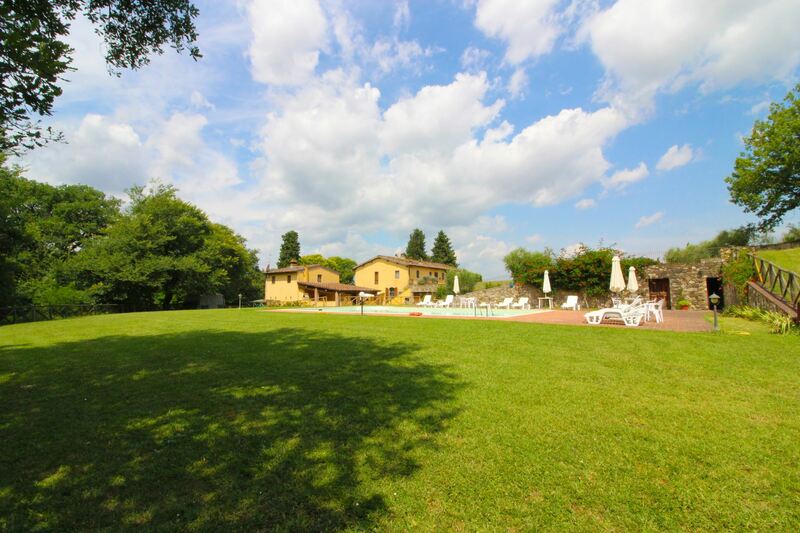 A table tennis and a table football guarantee fun to large groups. 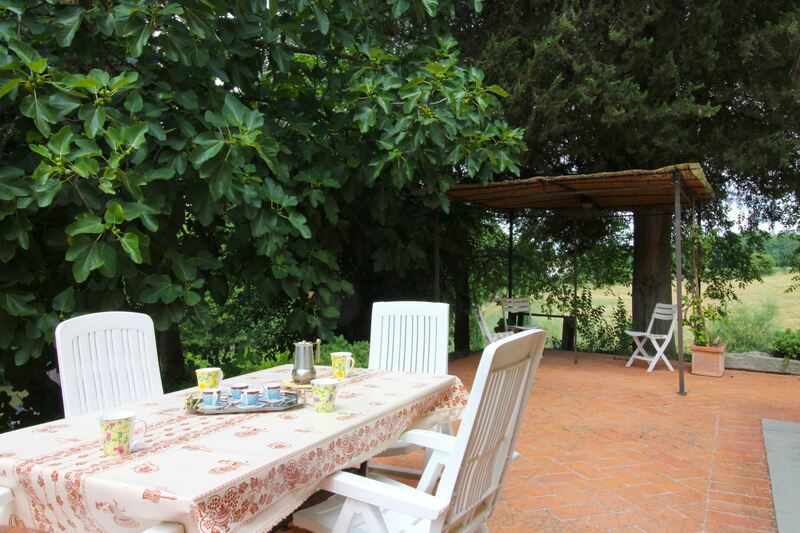 Walking and trekking amongst olive groves, vineyards and green woods. 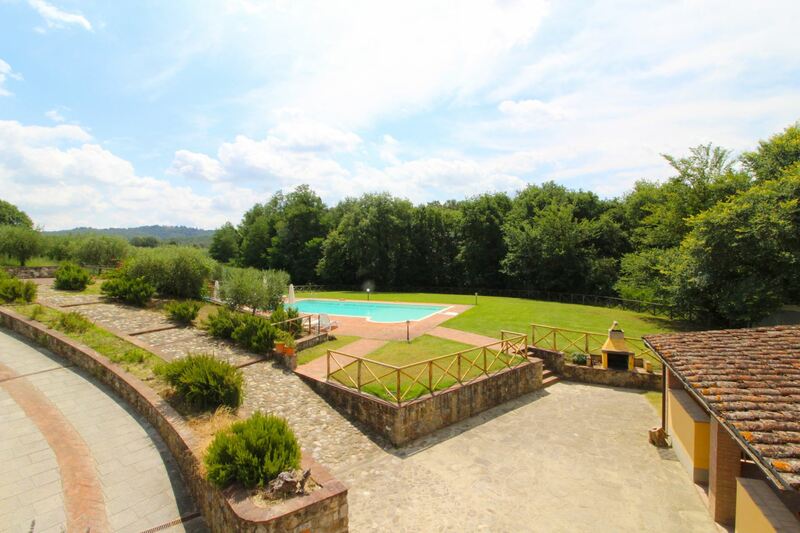 Close to the house panoramic paths among olive groves, vineyards and woods will offer the possibility to take relaxing walks and trekking courses. 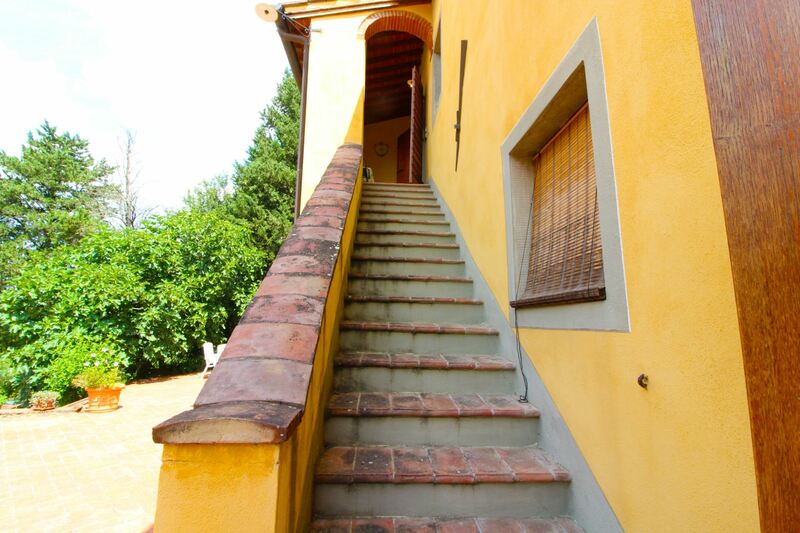 The proximity of the 'podere' to the village and to a railway line allows easy and convenient travels by train to Firenze, Arezzo and Roma. 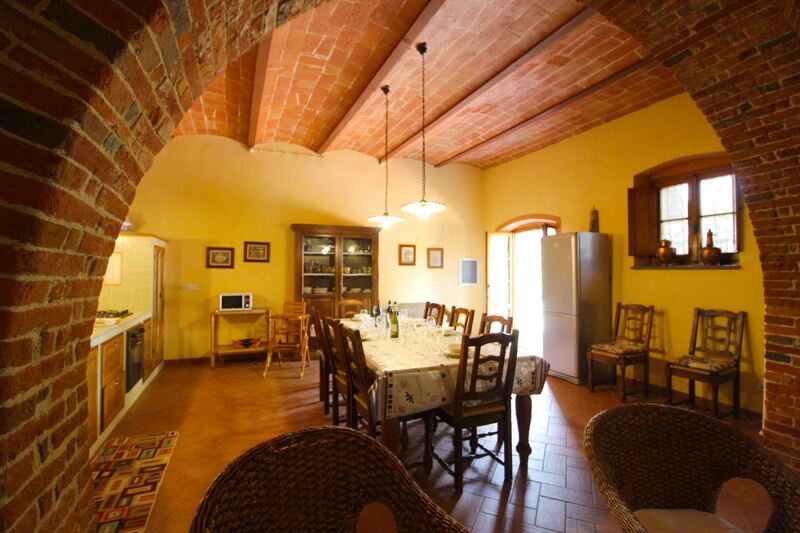 On request, it is possible to have guided wine tastings in the wine cellars nearby. 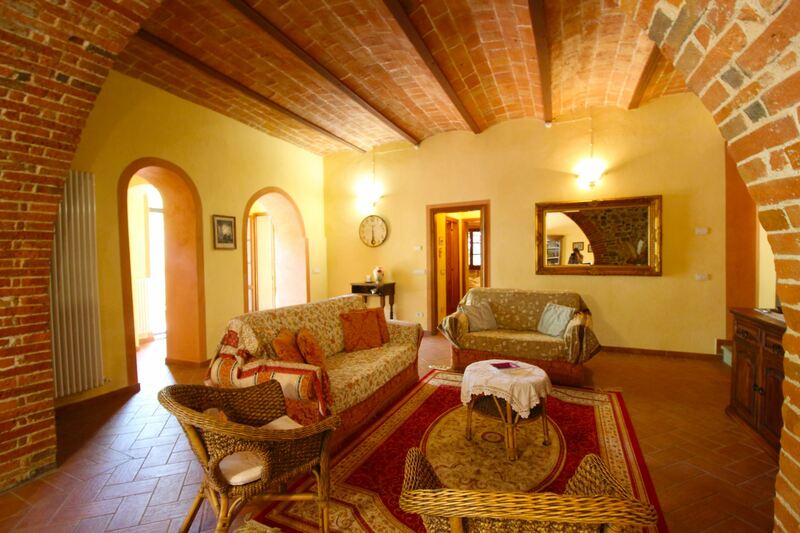 Ground floor apartment with entrance through small porch endowed with wood-burning oven and equipped to eat outside, wide living-dining room with kitchen corner and French window overlooking the garden, two double bedrooms, twin bedroom, two bathrooms with shower. 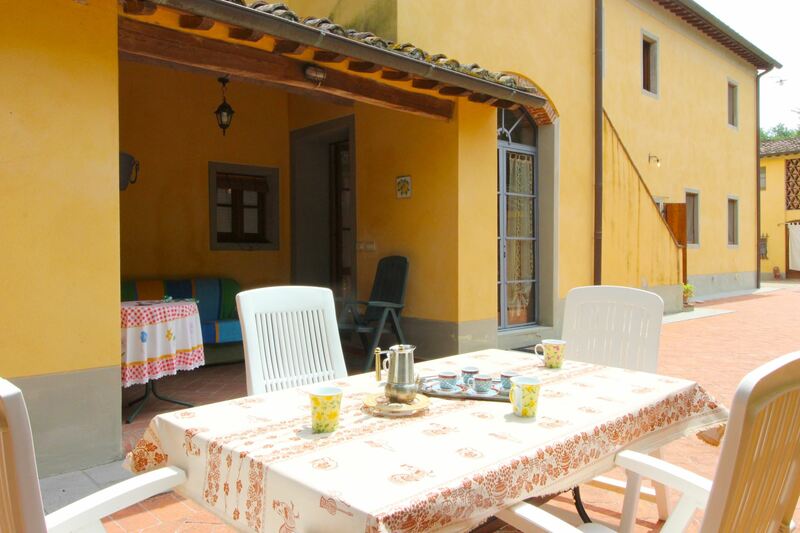 EQUIPMENT: freezer, oven, dishwasher, moka coffee maker, filter coffee maker, toaster, high chair, communal washing machine, SAT TV, Wi-Fi Internet access. 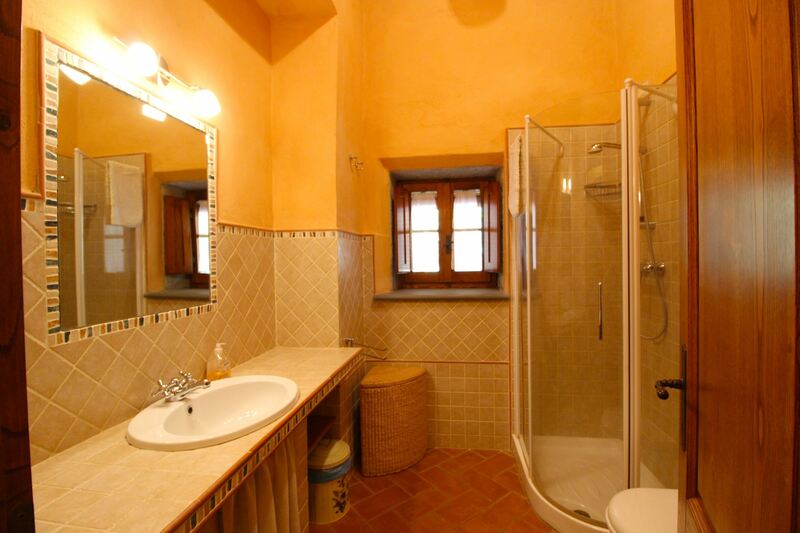 Obligatory final cleaning: Coppo and Tegola Euro 70 per apartment, Terracotta Euro 60. 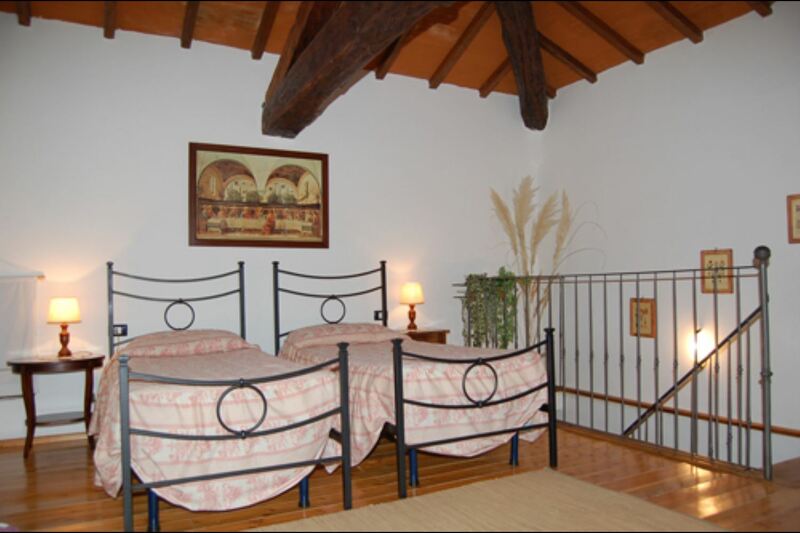 Wi-Fi Internet access Euro 1 per day per apartment.